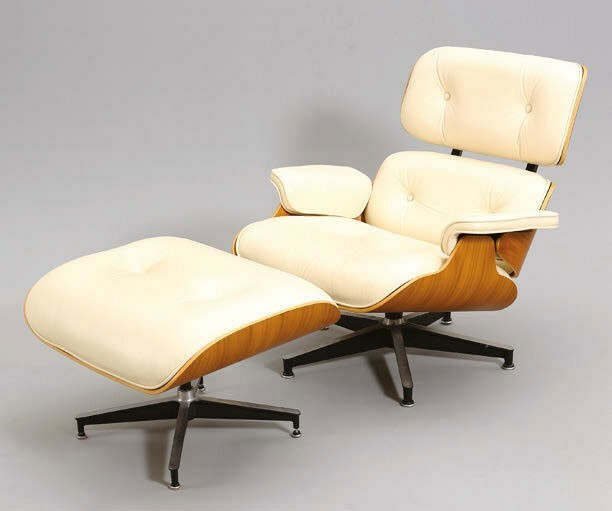 Eames chair and ottoman – £2700 at Elstob & Elstob. First produced in rosewood by Herman Miller, the chair has been made in various materials ever since – in Britain and Germany under licence and today copied by Chinese and European manufacturers. The version shown here appeared among the 826-lot wide-ranging inaugural March 24 sale of Elstob & Elstob (20% buyer’s premium) the North Yorkshire operation set up by auctioneer David Elstob, formerly at Thomas Watson of Darlington, and his wife Beth. With button back leather upholstery and bentwood frame, the swivel chair and matching stool was undated in the catalogue but bore the Eames label. Estimated at £300-400, it sold in Bedale over the phone to a UK collector at £2700.